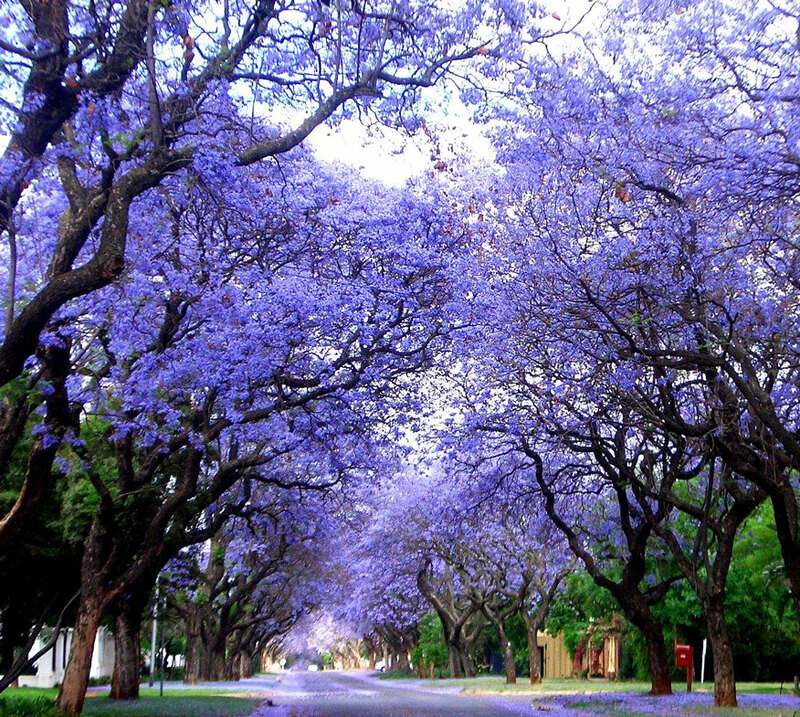 In late spring and early summer, Australian streets are usually resplendent in the purplish-blue blooms of jacarandas. It goes without saying that the spectacle is breathtaking. There are thousands of tree species in Australian soil, this article, however, profiles the jacaranda also known as Jacaranda mimosifolia. Regardless of being spectacular, this particular tree species looks incredible on their own especially as a tree specimen on an open lawn where their falling flowers create a beautiful carpet of blue. Many people think the jacaranda trees are Australian natives; this is not the case. The tree species are originally from Brazil. In Brazil, they are deciduous because of the dry and wet monsoon. They usually shed their leaves albeit briefly at the end of the dry season then grow them when the rains come. On average, a jacaranda tree can reach a height of 10-15 meters, spreading for the same size. This fact means you need to be careful as you plant them because THE branches usually extend a long way. When planted on the spot, the jacaranda tree often provides great shade. Do not, however, let them overhang a swimming pool. AS I mentioned earlier, jacaranda trees shed a lot of leaves; this may eventually cause the pool filter to clog. Although we are more familiar with the purplish blue color of jacarandas, we also have a white flowered variety commonly referred to as “white Christmas.” This variety cannot be found in local nurseries, should you wish to buy one you shall have to make a particular order. Should you want to find the blue, faster-flowering variety, you can check nurseries in tropical and warm temperate zones as they are readily available. The jacaranda mimosifolia usually grows in warm tropical climates although they can also thrive in colder areas which get light snow. They don’t, however, flower as well in cooler temperatures and usually grow slowly and are found in smaller sizes. This tree species thrives best in well-drained, sun-lit, fertile soil provided there is regular watering in summer and mulching around the roots with organic matter such as straw and compost. This procedure helps retain soil moisture, particularly in summer. Jacarandas can be grown from seed, although there is usually a variety of color and they are bound to take longer to flower. Ideally, you can always try transplanting because it is easier and doesn’t cost you a cent. The proper shape of a jacaranda tree is usually that of an umbrella. Therefore, pruning may and will alter the form of these beautiful trees. What’s more, once the branches are pruned, the tree will send up vertical shoots which will make the tree look odd. You should regularly prune the vertical shoots as well to retain its umbrella shape. One of the main disadvantages of planting a jacaranda tree is the fact that the flowers attract insects particularly bees. This attraction may cause your pets and children, if any, to be regularly stung by the bees. It is, therefore, advisable to rake the flowers, especially between October and April. Copyright © 2016 Aussie Tree Care.